The picturesque city of St. David’s in Pembrokeshire is the perfect place for a sea-side or walking holiday in Wales. Yewdale Cottage is within easy walking distance of many of the attractions of the area, being only a stone’s throw from St. David’s Cathedral and close to the centre of the ‘city’ with its wealth of fine restaurants, tea shops and galleries. St. David’s is the smallest city in the UK, renowned for its spectacular coastal scenery, staggering cliffs, covered with flowers in May and June and a nesting place for many varieties of birds. 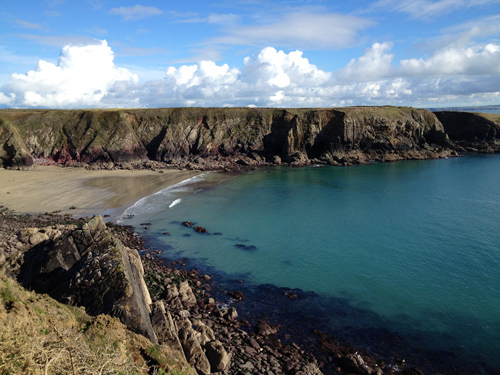 The Pembrokeshire Coast Path provides excellent walking round the peninsula. Numerous coves and harbours offer a wide range of activities, from boat trips to nearby Ramsey Island Bird Sanctuary, to diving, fishing and rock climbing. The beautiful, green flag beach at Whitesands provides excellent swimming and is overlooked by a nine-hole golf course. The sandy cove at Caerfai is only a mile away. A footpath opposite the cottage gives access in minutes to the Cathedral with its newly restored Cloisters and Refectory. The choir enjoys an international reputation and the Cathedral is a venue for regular concerts and recitals. A magnificent 12th Century Norman place of pilgrimage for over 1200 years. Beautiful ruins of the 14th Century Bishop’s Palace in the valley next to the Cathedral. 186 miles of breath-takingly beautiful coastline to explore. The path is served by regular coastal hopper buses. The nearest point of access to the path is St. Non’s, just 10-15 minutes walk from Yewdale Cottage. 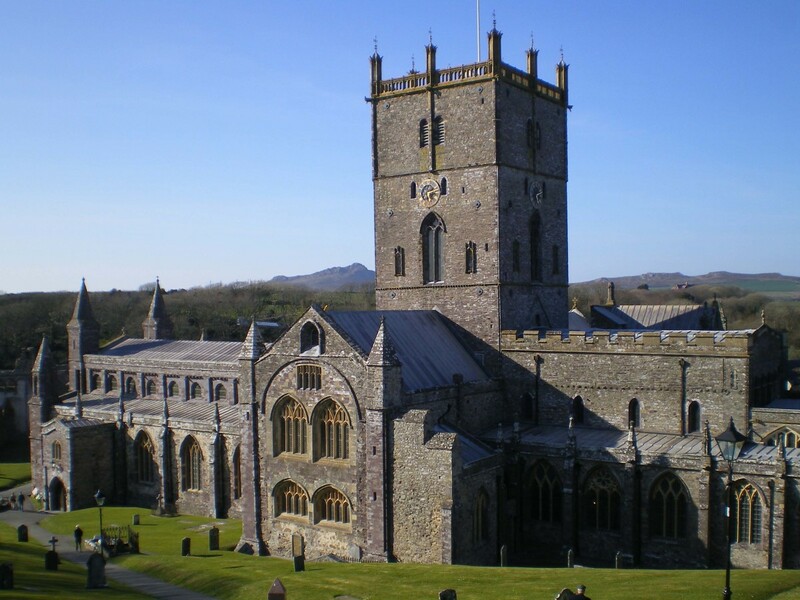 Many circular and longer walks start from St. David’s. 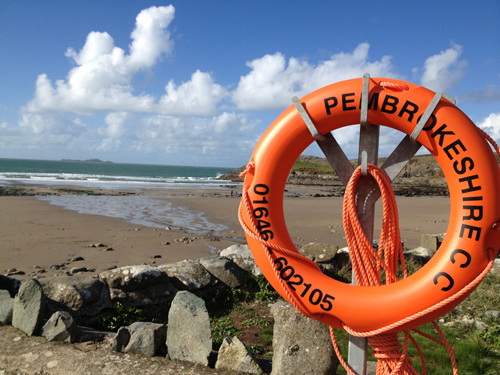 There are many glorious beaches nearby, including those at Whitesands Bay, Newgale, Broad Haven, Little Haven. 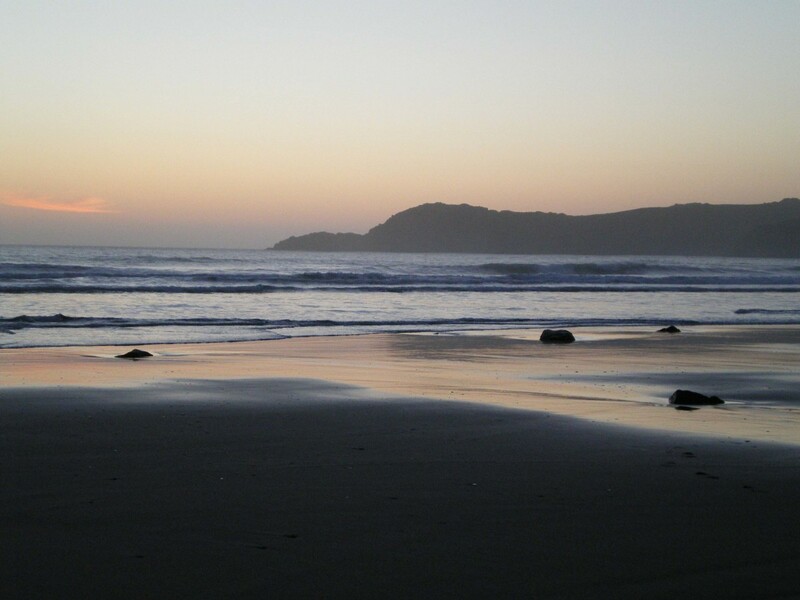 Whitesands is a superb stretch of sandy beach, awarded European Blue Flag status and much loved by surfers and families, easily accessible from Yewdale Cottage. There are lovely sandy coves at Caerfai Bay, just a mile from St. David’s, Porth Sele and many more to discover. For picturesque harbours, head to Solva, Porth Clais, Porth Gain and Abercastle. (The best crabbing spot is at Porth Clais!) For sustainable fishing trips, book in St. David’s. 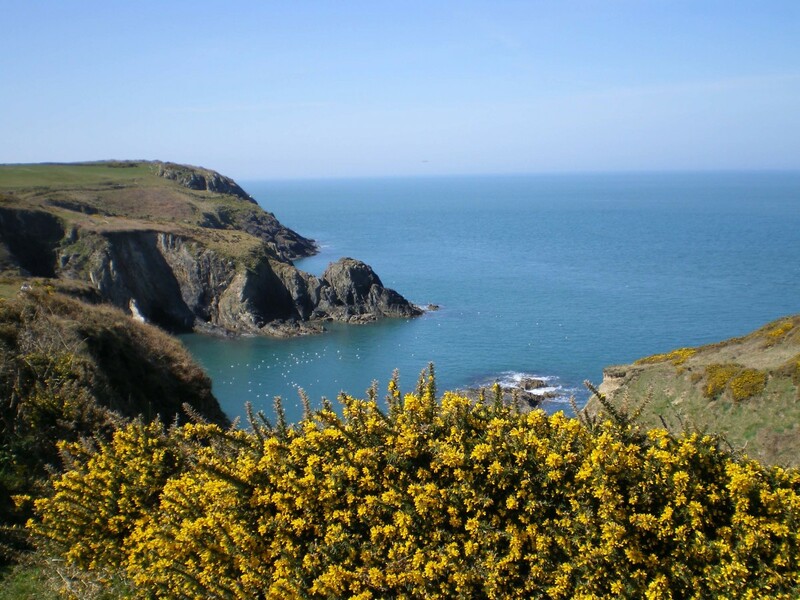 The Pembrokeshire Coast Path is rich in flora, particularly in early summer when the cliffs are a blaze of colour, and the spectacular cliffs of North Pembrokeshire are a breeding ground for sea birds. There are boat trips to and around Ramsey Island, a bird sanctuary and breeding ground for seals, and further out to Grassholm, a spectacular rocky island also an RSPB reserve and home to a gannet colony. 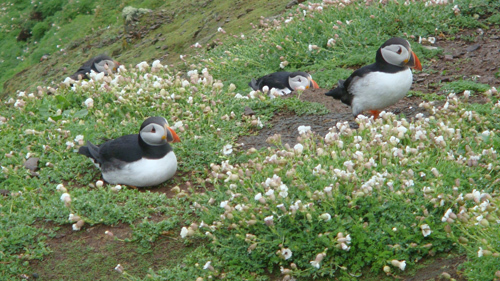 There are also regular boats to Skolmer and Skolkholm Islands from St. Martin’s Haven, where puffins breed in their thousands in early summer. St Davids is well provided with shops, selling everything from designer clothes, surf boards and shoes to Welsh lamb and beef, local fish and gourmet food, including a large supermarket for all your daily needs. Refectory, the school and the City Hall. The beautifully designed Oriel y Parc Gallery and Visitor Centre, opened in 2008, houses the Tourist Information Centre and a splendid art gallery featuring a range of treasures from the National Museum of Wales and other collections. According to the Sunday Times, St. David’s has in recent years become a gourmet hotspot! 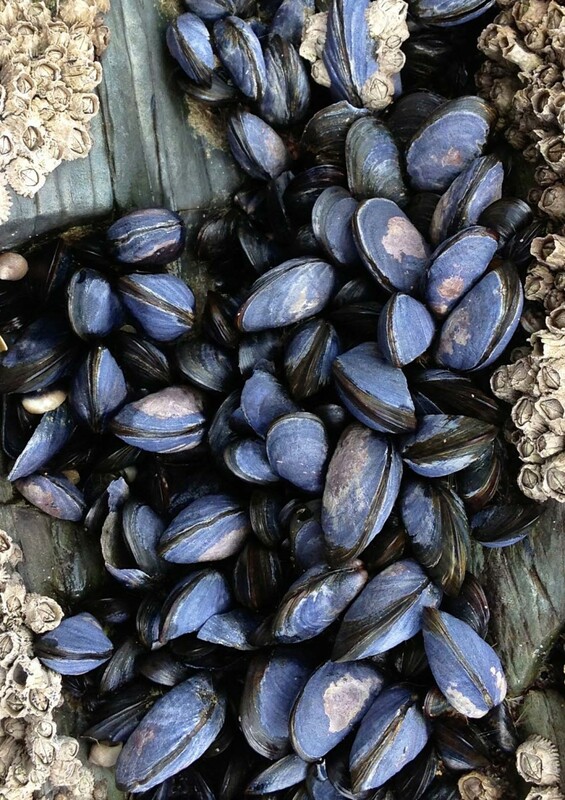 Just a short walk from the cottage are numerous excellent restaurants with menus catering for all tastes and pockets, specialising particularly in local fish and sea-food, Welsh lamb and black beef. For families with young children, there is a fish and chip shop or many of our visitors use Cottage Caterers, who have an extensive menu and will bring a delicious meal to you at Yewdale Cottage! • Cwtch – for fine dining Welsh-style. • Bench Bar – for the best icecreams ever. 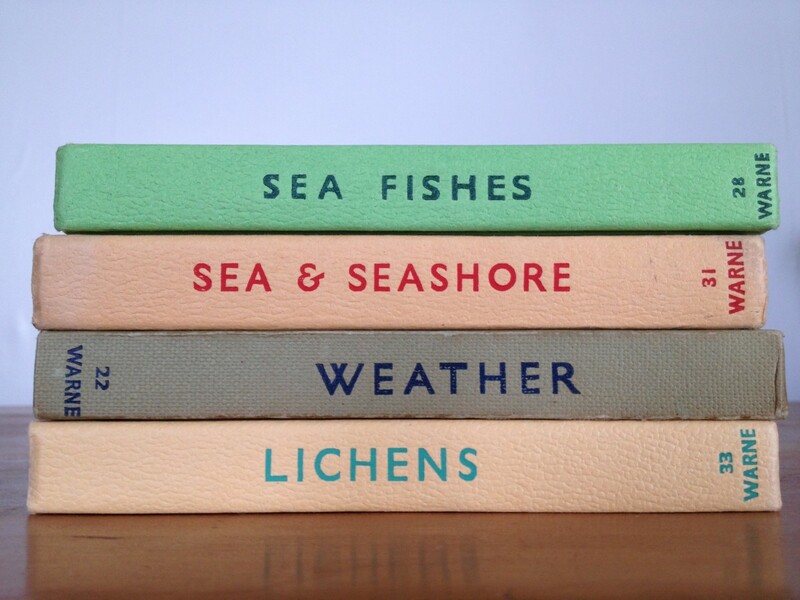 • The Shed – for fish suppers. • The Farmer’s Arms – for good, pub food. • The Bishops – for more good, pub food. • The Refectory at St. David’s – for fresh, wholesome lunches. The many outdoor activities include swimming, surfing, walking, cycling, horse riding, fishing, sailing and golf. 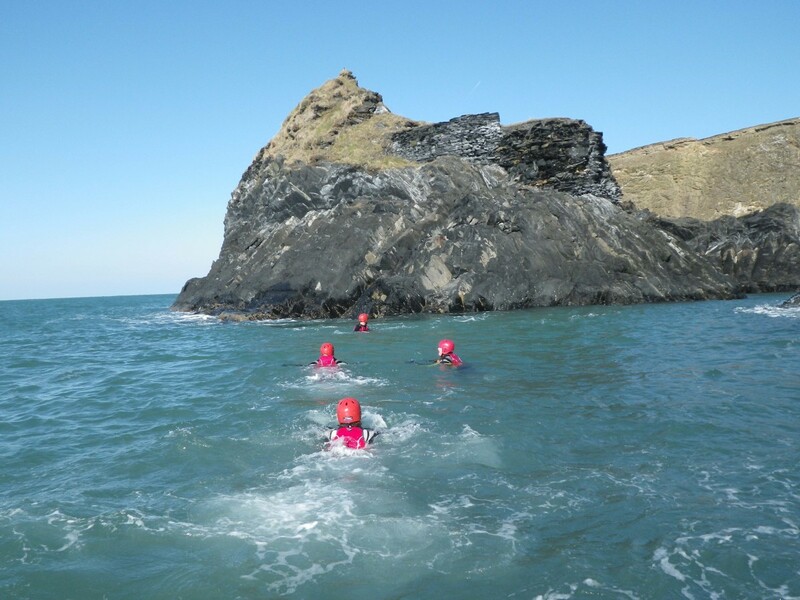 The Twr y Felin activity centre offers a wide range of activities for people of all ages – kayaking, surfing, rock climbing and, particularly popular with the youngsters, “coasteering” (they should try it!). Also in the St. David’s area you can hear glorious music in the Cathedral, watch local potters at work, visit the working woollen mills at Melin Tregwynt and Middle Mill in Solva, go go-karting in Haverfordwest, take a day trip to Ireland and see the amazing Last Invasion Tapestry in Fishguard. You will find more to do within striking distance of St. David’s than you can possibly fit into one holiday – you will just have to come back for more!